I'm not actually giving away the endings, just wanted to warn those of you that haven't heard yet to stay until after the credits are done to see a secret ending. Here's the irritating part, there are two secret endings and they're being played in different theaters. So unless you see the movie twice, you'll only see one of the secret endings. I saw the movie at Loews Boston Common this morning and saw it in Theater 2. As I was leaving, I spoke to one of the cleanup guys that works there and he said the other ending is being shown in theaters 1 and 17. So there you have it. If you plan on seeing it twice, you know which theaters to go to. Hopefully they don't keep changing it around each day. But just in case, I'm sure you could ask one of the folks working there and they might be able to tell you. 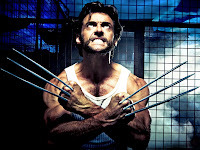 0 Response to "Wolverine Secret Endings @ Loews"